The first time a merger was explored between T-Mobile US Inc (NASDAQ:TMUS) and Sprint Corp (NYSE:S), the argument was that by the two wireless carriers coming together they would be in a better position to fight it out for market share with AT&T Inc. (NYSE:T) and Verizon Communications Inc. (NYSE:VZ). A lot has changed since then, though, and T-Mobile has been able to steadily grow its market share as well as return healthy profits to shareholders. This means that as speculation mounts over another merger attempt, T-Mobile has the upper hand in any negotiations that might be initiated. In a report by Reuters, Sprint’s parent company, Softbank, is said to have agreed to give up control of the resulting entity to Deutsche Telekom if T-Mobile and Sprint were to merge. The report discloses that talks will begin in April when an auction for low-band spectrum that prohibits such discussions comes to an end. Prior to the Reuters report, the chief executive officer of T-Mobile, John Legere had in an earnings call revealed that he would be welcome to any form of consolidation with interested parties. He said this when many were of the view that the current U.S. government would be more receptive to a merger of the two wireless carriers than the previous administration was. If the merger were to materialize, the resulting financial synergies would be huge. For one, the two wireless carriers would be able to enjoy enhanced economies of scale with regards to network management, spectrum usage or even infrastructure spending. 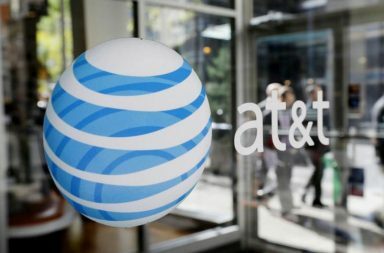 The savings that would result from the elimination of coverage duplication would then be used in the expansion of T-Mobile’s footprint and place the carrier in a better position to compete with AT&T and Verizon. Other savings would be generated from a reduction in ad spend, retail stores and administrative overhead costs. Additionally, the merger would result in a pricing environment that works to their favor. Currently, there is a race to the bottom occasioned by the price wars but with a merger, this would most likely cool off. On Friday shares of T-Mobile US Inc jumped by 5.46 percent to close the day at $63.92.